A new neighbor is moving into Sesame Street and he’s bringing a dose of cultural diversity along with him. The popular PBS children’s show announced that Armando, a writer played by actor Ismael Cruz Cordova, a native of Puerto Rico who holds a BFA from NYU's Tisch School of the Arts and has starred in shows like "The Good Wife." 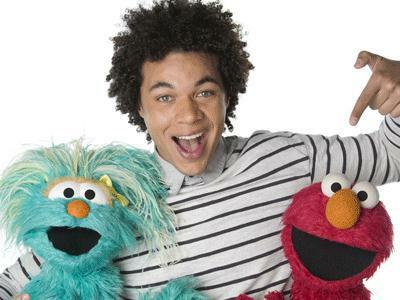 Ismael will make history this fall when he becomes the third Latino actor on "Sesame Street," and the first since 1971. Armando will make his debut Sept. 16, when “Sesame Street” premieres its 44th season on PBS KIDS. "Mando", as he will be known to his new neighbors like Cookie Monster, Elmo, Bert and Ernie, will join Maria (played by Sonia Manzano), Luis (Emilio Delgado) and Muppets™ Rosita and Ovejita (Carmen Osbahr) as part of the show’s bilingual community.